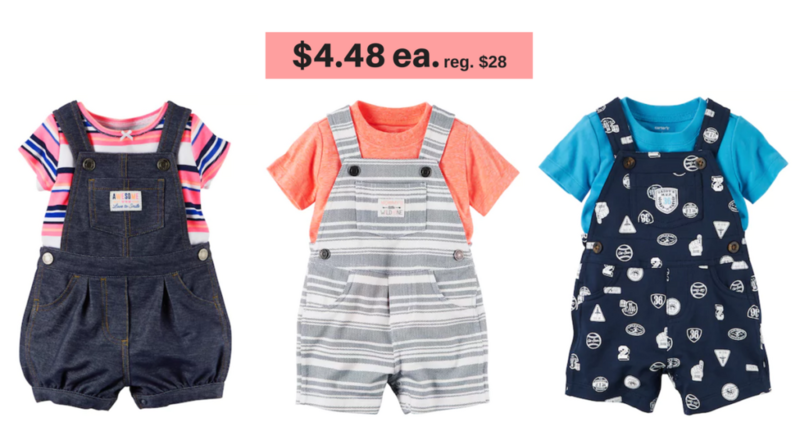 Grab some cute Carter’s Baby Shortalls Sets from Kohls for just $4.48 (reg. 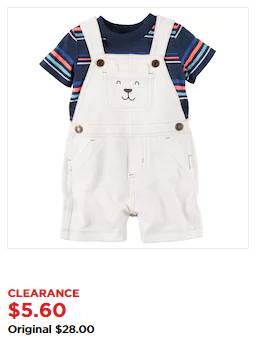 $28) after a sale and a promo code. Use promo code QUICK at checkout to save an additional 20% off the clearance price of $5.60. 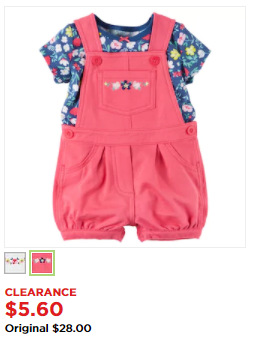 There are tons of styles and colors to choose from for both boys and girls, and I even saw some adorable baby rompers on sale for $2.88 after promo code (reg. $18). Shipping is free for orders of $75 or more, or choose free in store pickup.